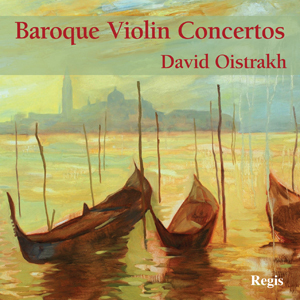 David Oistrakh plays both violin concertos by Bach and collaborates in the Double Concerto with his father Igor. Two versions of Vivaldi’s Concerto Grosso Op. 3 No. 8 for two violins are given – the first with Igor Oistrakh and the second with Isaac Stern.